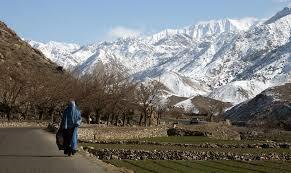 A landlocked country, mountainous, hot, cold, dry and earthquake prone, Afghanistan is situated on the old Silk Road at a crossroads between Asia, Europe and the Middle East. Settled for at least 50,000 years it’s an archaeological gold mine rivalling Egypt. Many empires and kingdoms have flourished here, its people are renowned for their hospitality and fighting prowess. Famed also for the striking beauty of the woman, Alexander the Great himself married into one of the royal families from ancient Bactria, now part of Afghanistan. The capital Kabul, dramatically located in a high valley at the foot of jagged mountains, Herat, an ancient city with its awesome citadel fortress mostly still intact, the exquisite Friday Mosque and the Minaret of Jam located in a narrow valley at the junction of two rivers, and the beautiful shrine of Hazrat Ali, a fabulous masterpiece to rival the Taj Mahal. 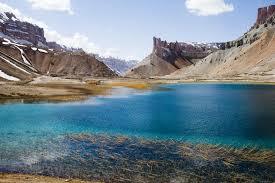 Sweeping landscapes of wild mountains, arid upland steppes and the Band-e Amir, a series of brilliantly blue lakes. From all the multi-ethnic influences the food of Afghanistan is a rich, varied and sophisticated fusion of Middle Eastern and South Asian cuisines. Boasting a huge range of dishes drawing on a wide variety breads, fruits, vegetables, nuts and grains. Famed for skewered and grilled meats (kebobs) , kormas (saucy stews) dumplings (mantu), pickles, soups (shorma) and a vast array of complex rice dishes (pulao). A national dish is Kabuli Pulao rice with raisins, carrots, orange and pistachios often baked with lamb or Alou Balou Pulao featuring chicken and fresh cherries, or Shebet pulao with fresh dill. Big meat eaters, chicken, lamb, mutton and goat are most favoured. Cooking methods include a tandoor style oven for baking, grilling, pan frying and steaming, often in a sealed pot as in the ‘Dum” style of India. This method is used to produce their particularly fluffy rice (chawal). Afghani’s were famous for their hospitality, and visitors were honoured guests given pride of place and served the very best on offer. The traditional Afghani feast (Dastarkhan) consists of a cloth spread over the floor ( usual dining place) and covered with as many dishes as possible. Eating is by hand with breads like naan used to scoop up food. To make the dough place the flour, salt and oil in a large bowl and gradually add the water until a firm dough forms. (You may not need all of the water.) Turn out onto a lightly floured work surface and knead for 8–10 minutes, or until dough is smooth and elastic. Cover with plastic wrap and refrigerate for at least 30 minutes. To make the sauce heat the oil in a large saucepan over medium–high heat. Cook the onion for 6–8 minutes, or until golden. Add the mince and cook for 15 minutes, or until lightly browned and liquid is evaporated. Add all remaining ingredients, except the boiling water and chana dal. Mix well and cook for 2 minutes. Add the boiling water. Cover, reduce heat to low and simmer, topping up with extra water if necessary, for 15 minutes. Add the chana dal and stir through. Reheat just before serving. To make the filling saute the leeks in butter until soft and tender, combine all rest of ingredients and refrigerate until needed. Divide the dough into eight pieces and roll each into a ball on a lightly floured work surface. Working with one ball at a time, and keeping the others covered with a cloth to prevent drying out, roll balls into 20 cm circles, then cut in half. Using a pasta machine on the widest setting, roll out dough, lightly dusting with flour when necessary to prevent sticking. Reduce setting on machine and pass through dough again, repeating until dough is about 2 mm thick. Cut into 3 cm squares. Place 1 tsp of the filling mixture in centre of a square. Moisten edges with a little water and press edges together to seal, and fold over like making tortellini or wontons. Place on a tray lined with a tea towel. Repeat with remaining dough and filling. To make the garlic yoghurt crush the garlic and salt to form a smooth paste. Process quickly together with the yoghurt and mint. Set aside. Bring a large saucepan of water to the boil. Cook the ashak, in batches, for 3–4 minutes, or until they float to the surface and start to flip over. Drain well. Spread the garlic yoghurt onto a serving platter. Place ashak on top, then spoon over the meat sauce. Scatter generously with mint or coriander. It pays to look at the video! I was in a hurry making these and didn’t check it out, so I made them like large ravioli, forgetting pasta swells up when cooking – so mine ended up enormous! and fell apart a bit. And I served the yogurt on top instead of underneath! But they tasted good, I particularly liked the addition of the lentils, an unusual touch. The rest of the family were a bit iffy about this dish which overall scored 7/10. It was quite a bit of work this dish, with lots of different processes involved in making them, I understand now why they are usually made with large family groups in a production line! Do try them for a filling and robust dish with a twist. 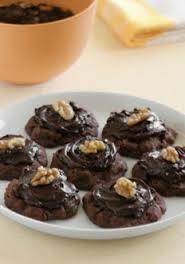 When I was growing up in NZ, one of my favourite (home made of course) biscuits were Afghans – a delicious chocolate flavoured biscuit with cornflakes in them and topped with chocolate icing and half a walnut. Our Edmonds cookbook was always stained on that page! Why they were named Afghans I don’t know unless it was a nod to the use of walnuts to decorate the icing. My recipe comes from a very tattered, prized copy of the Edmonds cookbook, dating from the time when there still was the famous Art Deco ‘Sure to Rise’ factory with it’s sun rays, standing proudly in it’s beautiful gardens on Ferry Rd, Christchurch. I, and I’m sure every New Zealander grew up learning to bake from that little recipe book, a trusty classic of home baking. In 1990 that beloved iconic building was demolished amid much controversy – in the interests of progress and cost efficiency, and what a sad loss it still is. Hello everybody! sorry it’s been a while, school holidays and all – went to the Snowy mountains and had a lovely time relaxing and enjoying the views of the Thredbo River and the Snow Gums on the slopes beyond. Needless to say ate lots of yummy food including a wonderful Cauliflower Risotto – a Jamie Oliver recipe that is so yummy won over my cauliflower averse family, and a divine Rhubarb, Apple and Berry Crumble! Requests taken – was so good others polished off the leftovers for breakfast before I even got up! (and with ice-cream too!) Hurrumph! So back to our mission to cook from every country in the world – we started back in September last year. The idea is my 15 year old daughter Bunny and I pull a country out of a hat each week, and both cook a traditional dish from that country. We try to make things we would never normally, or have never had before. Sometimes it’s just a drink or a dessert, usually a main dish. We learn a little about unknown countries – who knows much about The Comoros or Kiribati for instance? and have fun scoring each dish out of 10. So with time off for holidays, I am now up to country number 32 South Sudan, yet another African country – there are so many of them! Alas so many of these African countries have fairly similar basic cuisines based on a limited range of staples, peanuts, root vegetables, grains, pulses like dried broad beans (fava beans) and small amounts of protein like beef or goat or fish. Sigh. A land locked East African country, South Sudan is the newest countries in the world – only gained independence from Sudan, (Africa’s biggest country until then) in 2011. Sadly this mostly rural agricultural country is plagued with the problems rising from continuing civil and ethnic wars since the 1950’s. Huge refugee population, human rights violations, break-down of infra-structure including water supply and more. Not a fun place and definitely not a tourist destination. Even the indefatigable Lonely Planet has extremely limited information about this little known country, and there posts warnings to all Commonwealth travellers to avoid this place. Some intrepid travellers still seem to be going, mainly to capital Juba and surrounds. 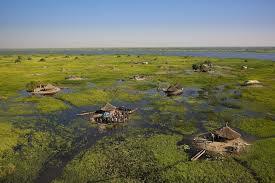 South Sudan is made up of 3 regions, the Sudd or Bahr el Ghazal – a vast swampy grassland formed by the White Nile, the Equatoria and the Greater Upper Nile. The huge Bandingilo National Park hosts the 2nd largest migration of wildlife in the world, there are tropical forests, savanna and dry bushland in this largely undeveloped country. Due to geographical isolation, much of the traditional indigenous culture has been retained and local tribal culture and ways of life are still predominant. Woven huts, colourful costume, scary scarification including on woman, dances and some outstanding wild life and national parks are what draws the brave visitor. At a cross roads for cuisines, South Sudan has influences from early Arab traders bringing garlic and spices like red pepper, Egypt and Ethiopia to the north and India and Yemen also. Breads such as Kissra are similar to Injera and starches in the form of porridges or gruel are made from the most often grown grains of sorghum, millet and wheat. Soups and stews are the most common meat dish, as been easy to prepare with the minimum of ingredients, cooking time or preparation required. 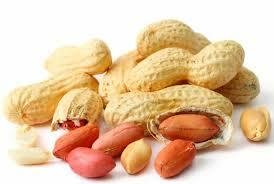 All of the protein is used including offal and vegetables include okra, yams, beans and peas, pulses, tomatoes and dates. 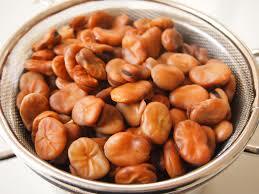 The fava (dried broad bean) in the form of Ful, and the African Ground Nut AKA a peanut, rules here. I wanted to make some unusual felafel like dumplings with a meat stuffing, but couldn’t find dried broad beans. Settled for a typical beef, peanut and tomato stew with spinach. 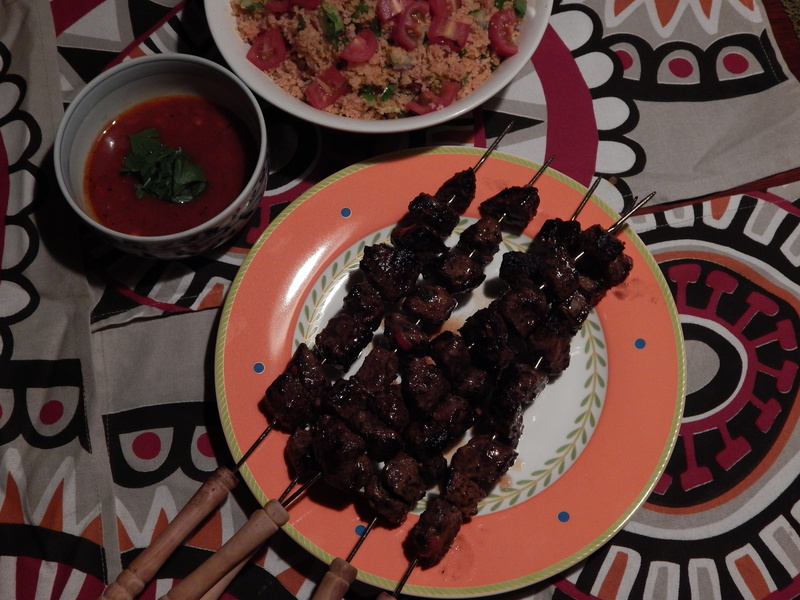 Was surprisingly tasty and I really liked it a lot, served on top of a spicy couscous – yeah I know, should have been a sorghum or possibly millet dish – but hey, that went in the ‘too hard’ box! Rest of family weren’t so keen, scoring it 6/10, I scored it 7/10, I was more than happy to eat the leftovers the next day for lunch. Heat 1 tbsp oil in a large, deep frying pan over medium–high heat. Brown beef and cook for 3 minutes, Remove and set aside. Add remaining 1 tbsp oil and onions, and cook, stirring, for 3 minutes or until golden brown. Add garlic and tomato paste, then cook for 30 seconds or until fragrant. Return the beef to the pan with stock and 500 ml (2 cups) water. Bring to the boil, then reduce heat to low and cook for 1 hour or until beef is almost tender and the cooking liquid is reduced by one-third. Add sweet potato and whole peanuts, cook for 15 minutes. Meanwhile, heat a large saucepan over medium heat. Cook spinach, covered for 20 seconds or until wilted. Drain well, squeezing out excess water. Add spinach, tomatoes and ground peanuts to beef mixture and stir to combine. Cook for 5 minutes or until warmed through. Season with salt and pepper. Divide stew among plates and serve with couscous. Hi everybody sorry for the lack of posts recently,we have been away from home on holiday. This week I was determined to make a fabulous dish that we would all enjoy, something a bit different. Located in Central East Africa in the African Great Lakes region and is highly elevated; the country is covered in mountains in the west and savanna in the east, with numerous lakes all over the country. 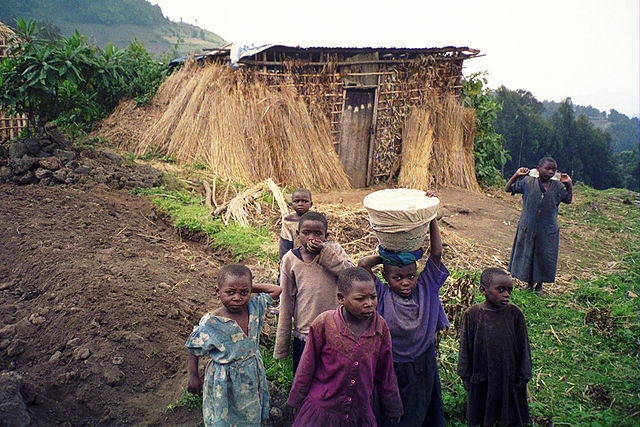 Three ethnic groups make up the population of Rwanda these are the: Hutu, Tutsi and Twa people. Rwanda was colonised twice in history; by the German’s first in the 19th century and then the Belgians during World War 1. 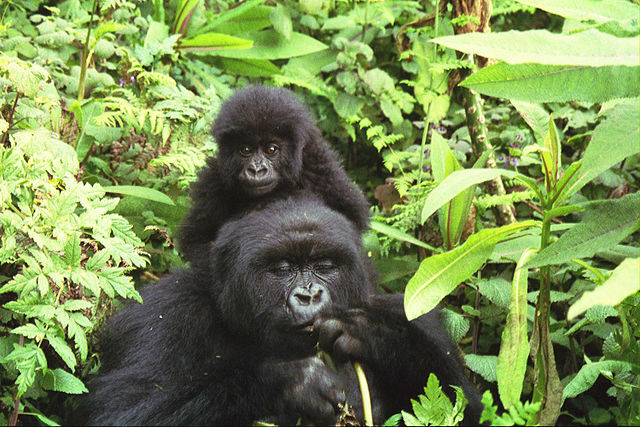 Rwanda is one of only two countries in the world which mountain gorillas can be visited safely; gorilla tracking, in the Volcanoes National Park, attracts thousands of visitors per year, who pay high prices for permits. 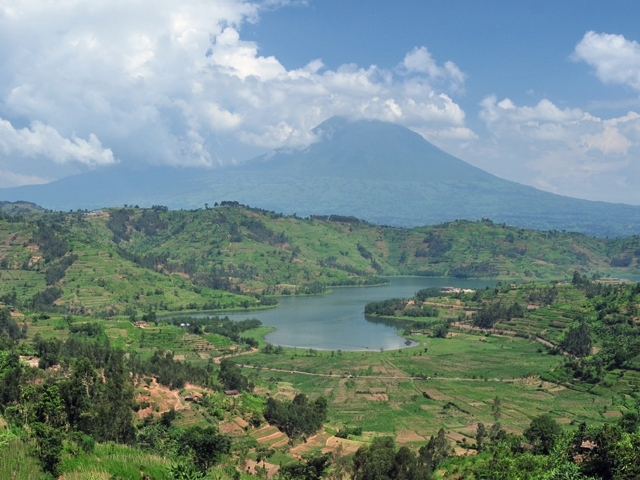 Other destinations which attract a lot of visitors include: Nyungwe Forest, home to chimpanzees, Ruwenzori colobus and other primates, the resorts of Lake Kivu, and Akagera, a small savanna reserve in the east of the country. 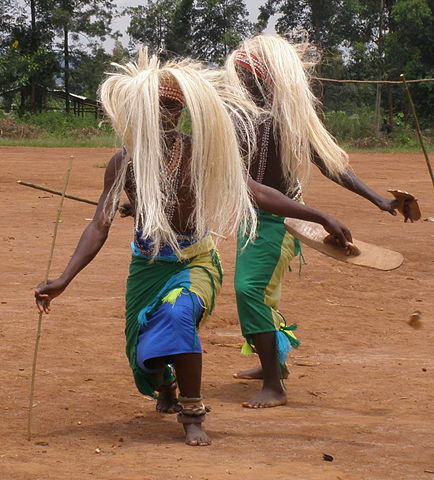 Music and dance are very strong in Rwandan culture, drums are favoured and a highly choreographed intore dance. Traditional arts and crafts are produced throughout the country, including imigongo, a unique cow dung art. 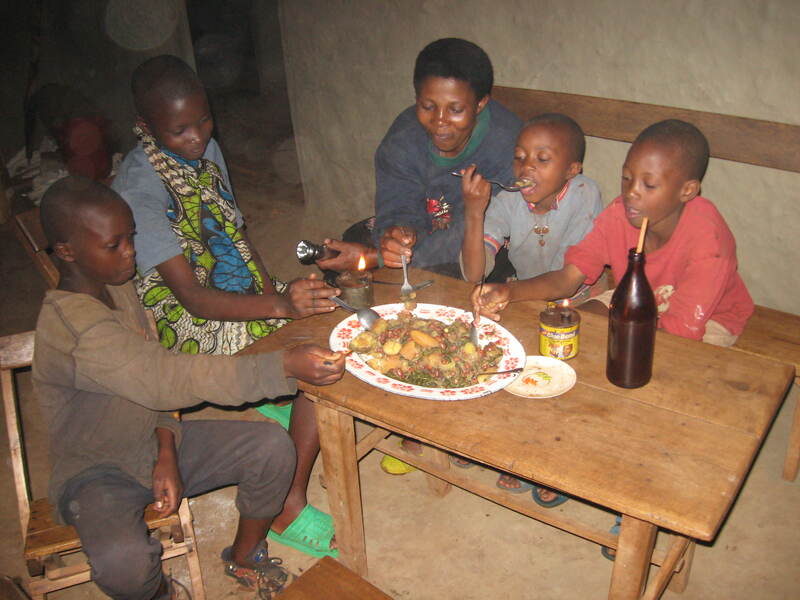 Rwanda’s cuisine is based on staple foods that are produced by agriculture in local areas such as bananas, plantains, pulses, sweet potatoes, beans, and cassava. Living near a lake you have access to fish, tilapia is popular. Potatoes have been popular since German and Belgian colonialists brought them to Rwanda. Lunch is usually a buffet known as mélange, consisting of the staples mentioned above and sometimes meat. The most popular food when eating out in the evening is brochettes which are usually made from goat but sometimes tripe, beef, or fish. During some traditional rituals and ceremonies a traditional beer called urwagwa made from sorghum or bananas is drunk. The kebabs were delicious and we all loved it and gave it a score of 9/10.